We are dedicated to providing our clients with a top-quality service in Shopfitting and General Construction projects. We are a UK-based firm, with our headquarters based in Deeside, Flintshire, close to Chester. We undertake projects of all sizes covering the whole of the UK. If you would like a quote on a domestic, commercial or industrial project, then please do not hesitate to contact us. At GRATTAN Developments we are dedicated to providing our clients with a top-quality service in shopfitting and refurbishment projects. 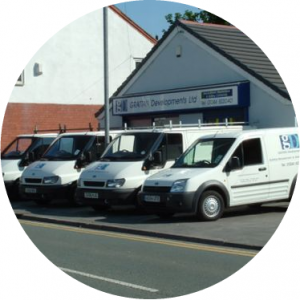 GRATTAN Developments offer services including shopfitting and general construction work. No job too big and no job too small, we have you covered. We have many happy customers all over the UK. Have a look at our portfolio. Have an upcoming project or in need of construction services? Get a free quote today! Get in touch for a free, no obligation, consultation and quotation for all construction services.